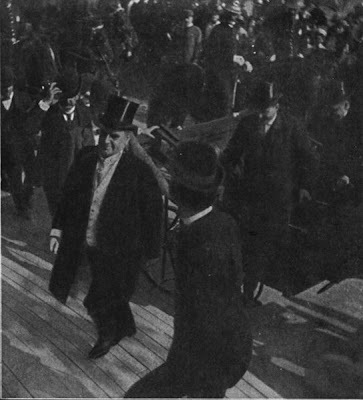 President William McKinley was killed in 1901 while attending the Pan-American Exposition in Buffalo, New York. It happened on the steps of the temple of music. McKinley shook everyone's hand in a line. When the sad trembling hand of Leon Czolgosz approached, it shot the president twice in the abdomen. Medical assistants stood near windows with large pans to reflect sunlight onto the operating table. Posted by Greg at 7:33 p.m.